I may not have the exact numbers to prove this, but I’m willing to bet big money that Uncharted 4: A Thief’s End is the most highly-anticipated PS4 exclusive releasing this year. Naughty Dog’s built up significant goodwill among gamers in recent years with the groundbreaking cinematic qualities of both the Uncharted franchise and The Last of Us, and Nathan Drake’s (alleged) last hurrah looks to be the most action-packed and intense title in their catalogue. And while multiplayer has always played second fiddle to the main campaign in Drake’s swashbuckling series, Naughty Dog has gone to great pains to make sure people know about it this time around, starting with the multiplayer beta they launched last year. It’s been some time since then, though, which is why I took some time out of my day at PAX East to see how it’s been coming along. 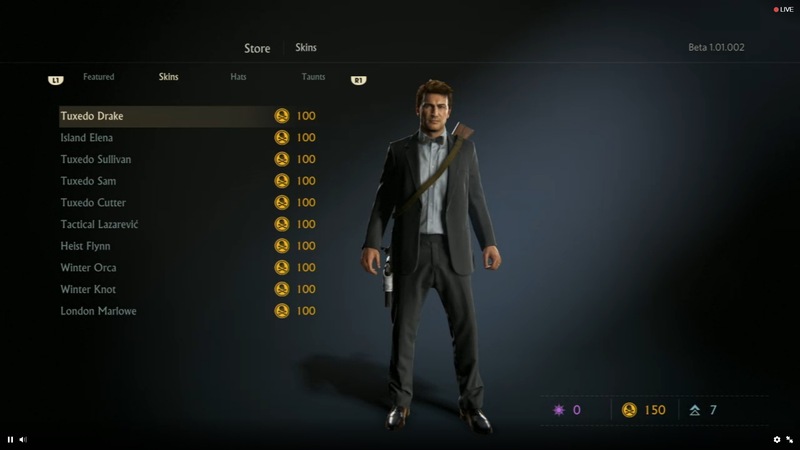 Here’s how my demo experience went in the newly-playable (for Uncharted 4) Plunder Mode, an old favorite that fans should recognize from the second and third entries in the series. Plunder Mode is essentially capture-the-flag with a valuable idol — except that players who find themselves in danger can toss the idol away to escape their rivals’ ire. In the PAX East build, we had access to the same three maps that were available in the multiplayer beta (Island, Madagascar City and Rooftops). A few notable differences from the classic mode were outlined: in the past, players who were carrying the idol didn’t have access to the full range of traversal options, a limitation which has since been nixed; in addition, the mode has been reduced from a 5-on-5 mode to a 4-on-4 one (apparently made to compensate for the number of mechanics that have been introduced in Uncharted 4‘s overall multiplayer package). This is the sort of thing that might strike players as sort of a big deal, but I didn’t notice any reduction in the chaotic fun during my time with the game. And what chaotic fun it was…of the losing variety, in my case. Candidly, I’ve never been a particularly skilled Uncharted player, and I’m even more of a klutz when I’m under pressure. After a few embarrassingly speedy deaths, I learned that I was much better off letting the more-talented members of my team go after the idol; they appreciated the protection provided by my cover fire, and the lack of humiliation that came from watching me get killed seconds after picking up the idol. But all self-deprecation aside, I’m happy to report that Uncharted 4‘s multiplayer seems to be shaping up to be just as much fun as previous entries, whether you’re an expert or a work-in-progress. As was true of the multiplayer beta, the new maps provide exhilarating spaces to scramble through — and since players carrying the idol now have the ability to fully traverse them, there’s less predictability in where they’ll be at any given time. But more than anything, it’s clear that the new multiplayer has benefited from three previous entries’ worth of polishing and perfecting. Clambering about these environments has never felt quite as smooth and natural, which puts the burden of skill entirely on the player — in my case, not exactly a positive, but I’ll get there someday… Maybe. It won’t be long before Uncharted 4: A Thief’s End is in your hands (or figuratively in your hands if you’ve opted to pre-order a digital copy). Naughty Dog’s latest globetrotting PS4-exclusive adventure will be released for $59.99 on May 10, at which time you’ll be able to experience the full single-player campaign and the satisfaction of wasting unskilled scrubs like me in the multiplayer modes.